When the 2017-18 USPHL season opens, the league will welcome the return of the New Hampshire Jr. Monarchs. While the team competed in the Elite, 18U, and 16U divisions in the 2013-14 season, they went dormant at its conclusion. After spending the last three seasons in another league on the East Coast, the Monarchs reevaluated their strategy and decided the USPHL would better suit their mission of advancing players to NCAA hockey. As such, the Monarchs have entered teams in the junior Premier and Elite Divisions. With Frew at the helm, the Monarchs have produced multiple NCAA Division III hockey players, as well as a number of players advancing to the Division I ranks. This past season, USPHL member organizations produced the largest contingent of freshmen at the NCAA Division III level. More significantly, the USPHL and its members enjoy sizeable representation at the NCAA Division I level, especially in the ultra-competitive conferences on the East Coast. 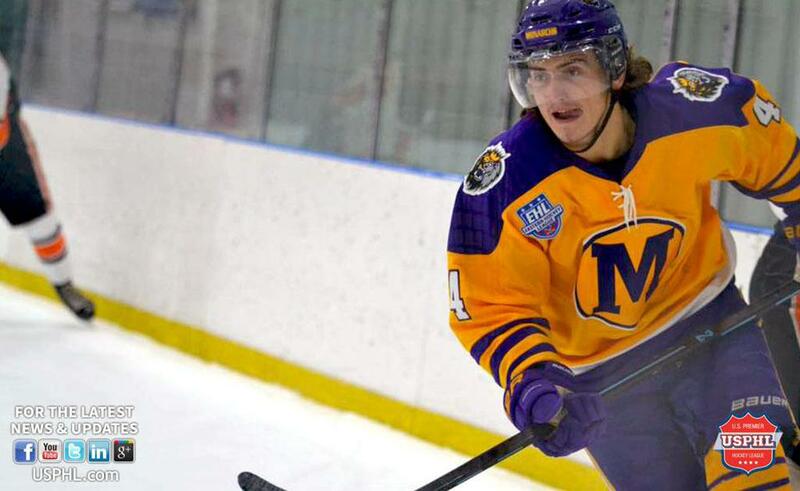 With the higher level of competition provided by the USPHL, Frew expects that number to rise. Along with the improved competition, Frew also cites the affiliate structure with NCDC teams as evidence of cooperation among the USPHL’s member clubs, which, in his opinion, is reason alone to join the USPHL. Like every other USPHL organization, the Monarchs provide opportunities for players from age five until they age out of the junior program at twenty-one. Much like their junior programs, the youth teams have made themselves known on the national level and have enjoyed a rich history in the crowded New England market. The organization’s ability to build on its past success will only be enhanced by membership in the USPHL. The USPHL welcomes the New Hampshire Jr. Monarchs and their players back to the league and wishes them the best of luck in the upcoming season.